According to tests carried out by the magazine "Flight» (№ 9/2011), KAMA tires "are energy efficient thanks to low rolling resistance." When testing instruments recorded a record low specific fuel consumption — it is down almost to the turn of 30 l/100 km. 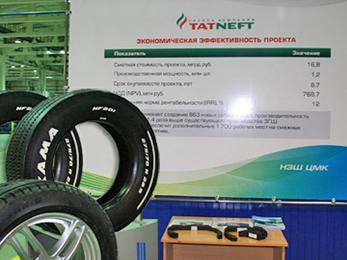 Production of Nizhnekamsk SSC Tire Factory, a member of the Management Company OOO "Tatneft-Neftehim", meets all modern requirements for durability, efficiency and environmental friendliness.